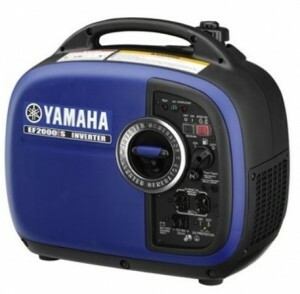 A portable generator makes a great addition to any home or for frequent campers as this is a great opportunity to have additional power when its needed. You can find them in your local hardware store or online. Inverter generators give out clean power that can be safely use to run sensitive electronics like big screen TVs laptops and other consumer electronics. Regular gensets can give out irregular power with a sine wave distortion over 5% that can damage these fine appliances, so think about what you will be running with the generator. CLICK HERE – Free Generator Quotes From BuyerZone.com With No Obligation To Buy! Here, you can analyze some of the best portable inverter generator reviews to determine which one may fit your needs the most. The trend in the market place is to larger wattage models becoming available and many of these models are starting to have more powerful counterparts. 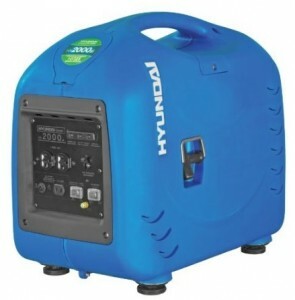 This quiet Hyundai HY 2000si Portable Inverter Generator runs on 2,200 watts peak and 2,000 watts continuous. It can run up to 5.5 hours on half a load. It has a circuit breaker system that prevents overloading and an engine burnout with a low oil indicator. It performs at a low noise level of 65 dba and comes with a 4 stroke 125cc Hyundai motor. It is ideal for home use as well as at concerts, camping trips, and sporting events. It has a manual recoil start and offers clean power for sensitive electronic devices. It is non carb compliant and is not sold in the state of California. This item received 4 stars from Amazon reviewers and costs just under $700 online. 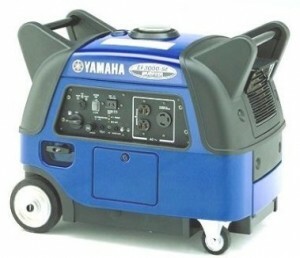 This Yamaha EF 2000is Gas Powered Portable Inverter Generator comes with a 79cc OHV 4 stroke engine and runs on 2,000 watts continuous and 1,600 rated. It can run for 10.5 hours on economy mode and can run for 12 hours before having to refuel. It comes with a two year warranty along with a super quiet muffler and low noise level of 51.5 dba at 1/4 load. It comes with noise absorbing glass wool construction and a smart throttle that varies the speed of the engine. This machine is carb compliant and is sold in all 50 states. It costs just under $1000 online and has received 4.5 stars from more than 170 Amazon reviewers. It weighs no more than 44 pounds to make it easy to maneuver. Its inverter system has a pulse width modulation control and it comes for saving energy. 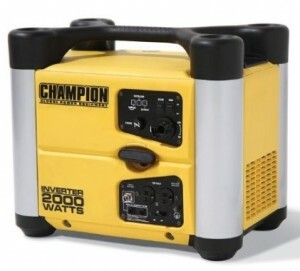 This Champion Power Equipment 73536i Gas Powered Portable Inverter Generator is lightweight at 48 pounds for easier mobility. It comes with a two year limited warranty and an 80cc OHV engine. It is carb complaint which means it is sold in all 50 states. It is quiet at 53 dba and comes with a low oil sensor and an overload protection. You can place it on economy mode to save energy. It is ideal for camping and tailgating. It has an automatic idle lower when the electrical load lessons to help save energy. It can run up to nine hours on a full tank at 25 percent load. 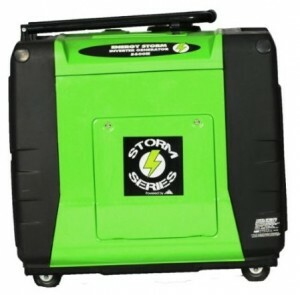 There are a few items this generator comes with as well including one 120v outlet, one 12v dc outlet, spark plug socket, charging cable, and an oil funnel. This item received 4.5 stars from Amazon reviewers. See our Champion Inverter Generator article for more information on Champion Inverter Generators. This Lifan ESI 5600iER-CA, 5600 Watt Energy Storm Idle Control Quiet Inverter Generator with Electric Remote Start is carb compliant and sold in all 50 states. It costs about $1500 online. It has an electric start and you can even start it by remote, which is very handy on poor weather days or when camping or RVing. It comes with a three year limited warranty and includes the 12 volt starter battery. This is one of the larger wattage digital output inverter generators on the market at 5000 Watts rated output, and 5500 surge output. There are other Lifan models that have larger than the commonly found 2000 watt outputs seen above. This generator will run on a full tank of 4 gallons for up to 9 hours at a 50% load, which is impressive for a small unit like this. You can maneuver the generator easily with its flip out carry handle and 4 castors. It is ideal to use for tailgating and camping. It weighs no more than 150 pounds.